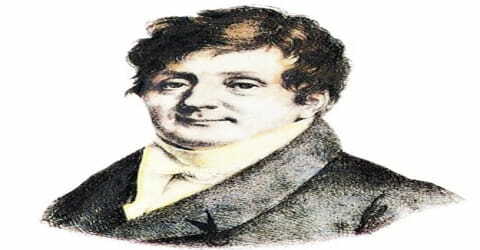 Joseph Fourier – French mathematician and physicist. A French mathematician, known also as an Egyptologist and administrator, who exerted strong influence on mathematical physics through his Théorie analytique de la Chaleur (1822; The Analytical Theory of Heat), Joseph Fourier was born on 21 March 1768 at Auxerre (now in the Yonne département of France), the son of a tailor. He showed how the conduction of heat in solid bodies may be analyzed in terms of infinite mathematical series now called by his name, the Fourier series. Far transcending the particular subject of heat conduction, his work stimulated research in mathematical physics, which has since been often identified with the solution of boundary-value problems, encompassing many natural occurrences such as sunspots, tides, and the weather. His work also had a great influence on the theory of functions of a real variable, one of the main branches of modern mathematics. Coming from a humble background, he became an orphan by the time he was ten. At the age of twelve, he entered military school run by Benediction monks and became engrossed in mathematics. Later he became a teacher at the same institution and joined the local revolutionary committee, a decision that almost cost him his head under the guillotine. Saved from eminent death, he went back to teaching but was soon picked by Napoleon to accompany him on his Egyptian expedition. On his return, he was made prefect of the Isère, a job he did exceedingly well. At the same time, he was given the charge of collating all the scientific and literary discoveries in Egypt, which was later published in a book form. However, he is best remembered for his work on the flow of heat, which later became the basis of what we now call ‘Fourier series’. However, he was more interested in academics and after Napoleon’s fall, he went back to Paris and immersed himself into mathematics. 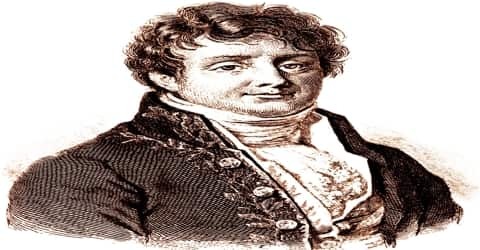 Joseph Fourier, in full Jean-Baptiste-Joseph, Baron Fourie (/ˈfʊrieɪ, -iər/; French: fuʁje), was born on 21st March 1768 in Auxerre, now the capital of Yonne department, France. His father, a tailor by profession, married his mother after the death of his first wife. Joseph was born ninth of his parents’ twelve children. He also had three siblings from his father’s previous marriage. Fourie as orphaned at the age of nine. Fourier was recommended to the Bishop of Auxerre and, through this introduction, he was educated by the Benedictine Order of the Convent of St. Mark. The commissions in the scientific corps of the army were reserved for those of good birth, and being thus ineligible, he accepted a military lectureship on mathematics. He took a prominent part in his own district in promoting the French Revolution, serving on the local Revolutionary Committee. In 1787, after passing out from school, he entered the Benedictine abbey of St Benoit-sur-Loire with the intention of becoming a priest. However, he was not sure if he actually wanted to become a priest. In 1789, he left the abbey without taking the vow and went to Paris to read a paper on algebraic equations at the Académie Royale des Sciences. He was looking for a commission in the scientific corps but found that he was ineligible for it because of his humble birth. He was imprisoned briefly during the Terror but, in 1795, was appointed to the École Normale and subsequently succeeded Joseph-Louis Lagrange at the École Polytechnique. Joseph Fourier began his career in 1790 as a teacher of mathematics at his alma mater École Royale Militaire of Auxerre. Sometimes now, he slowly became involved in politics and began to dream of a “free government exempt from kings and priests”. The ideals of the French Revolution then swept him into politics, and more than once his life was in danger. When the École Normale was founded in 1794 in Paris, he was among its first students, and, in 1795, he became a teacher there. The same year, after the École Polytechnique was opened, he joined its faculty and became a colleague of Gaspard Monge and other mathematicians. Later in 1794, Fourier was nominated for admission into the École Normale, a teachers’ training institute, which was to be opened in January 1795. Fourier joined the first batch of students and received lessons from eminent teachers like Lagrange, Laplace, and Monge. After the completion of the course, he first joined École Normale as a teacher but soon switched to the École Centrale des Travaux Publics, which was later renamed as École Polytechnique. He now began working closely with eminent mathematicians such as Gaspard Monge. Sometime now, Fourier has arrested once again and this was related to his earlier arrest. Fortunately, by that time the political climate of the country had changed and eminent scholars, as well as his pupils, pleaded for his release. As a result, he was released in September 1795. Fourier then went back to teaching at the École Polytechnique. In 1797 he was appointed to the chair of analysis and mechanics, succeeding Lagrange in the post. He soon became famous as an outstanding lecturer. Fourier accompanied Napoleon Bonaparte on his Egyptian expedition in 1798, as scientific adviser, and was appointed the secretary of the Institut d’Égypte. Cut off from France by the British fleet, he organized the workshops on which the French army had to rely for their munitions of war. He also contributed several mathematical papers to the Egyptian Institute (also called the Cairo Institute) which Napoleon founded at Cairo, with a view of weakening British influence in the East. After the British victories and the capitulation of the French under General Menou in 1801, Fourier returned to France. Concurrently, he was also put in charge of publishing the enormous volume of papers, collected in Egypt. The work later became known as ‘Description de l’Égypte’, to which Fourier added a lengthy historical preface on the ancient Egyptian civilization. After his return to France, Fourier was charged with the publication of the enormous mass of Egyptian materials. This became the Description de l’Égypte, to which he also wrote a lengthy historical preface on the ancient civilization of Egypt. He was also appointed prefect (administrator for the national government and département) of the Isère département, a position he held from 1802 to 1814, with his headquarters at Grenoble. He showed great administrative ability, as in directing the drainage of swamps, while continuing his Egyptological and mathematical work. In 1809 Napoleon made him a baron. Following Napoleon’s fall from power in 1815, Fourier was appointed the director of the Statistical Bureau of the Seine, allowing him a period of quiet academic life in Paris. When Fourier calculated the size of the Earth and its distance from the sun, it got him thinking. Considering the distance, the Earth should have been much cooler than it was. So what was making the planet warmer? Fourier suggested after observing the supplementary heat, that there was a presence of interplanetary radiation that caused the temperature rise. According to him, the Earth’s atmosphere was an insulator that protects it from outer radiations and various factors were contributing to its breakage. Fourier’s proposal is now known as the Greenhouse effect. In 1817, Fourier was elected to the Académie des Sciences and became its secretary in 1822. For the remaining eight years of his life, he lived in Paris and published a number of papers, some of which were on pure mathematics while others were on applied mathematical topics. In 1830, he was elected a foreign member of the Royal Swedish Academy of Sciences. In 1822 Fourier published his work on heat flow in Théorie analytique de la Chaleur (The Analytical Theory of Heat), in which he based his reasoning on Newton’s law of cooling, namely, that the flow of heat between two adjacent molecules is proportional to the extremely small difference of their temperatures. This book was translated, with editorial ‘corrections’, into English 56 years later by Freeman (1878). The book was also edited, with many editorial corrections, by Darboux and republished in French in 1888. One important physical contribution in the book was the concept of dimensional homogeneity in equations; i.e. an equation can be formally correct only if the dimensions match on either side of the equality; Fourier made important contributions to dimensional analysis. The other physical contribution was Fourier’s proposal of his partial differential equation for conductive diffusion of heat. This equation is now taught to every student of mathematical physics. In 1826, Joseph Fourier was elected to the Académie Française and the Académie de Médecin. In 1830, shortly before his death, Joseph Fourier was elected a foreign member of the Royal Swedish Academy of Sciences. 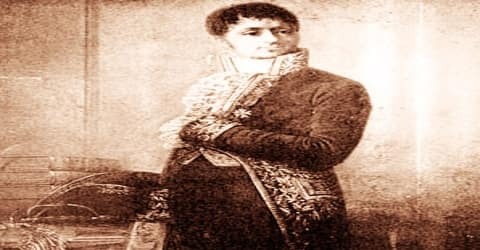 In 1809, Joseph Fourier was made a baron by Napoleon. 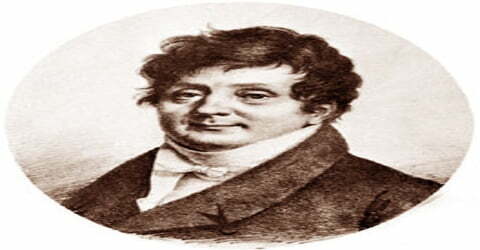 Joseph Fourier developed aneurysm of the heart while he was in Egypt. Later in Paris, he began to suffer from frequent suffocations. The malady was further aggravated when on the 4th of May 1830 he had a fall while climbing down the stairs. After suffering for around twelve days he died in bed on 16 May. Fourier was buried in the Père Lachaise Cemetery in Paris, a tomb decorated with an Egyptian motif to reflect his position as secretary of the Cairo Institute and his collation of Description de l’Égypte. His name is one of the 72 names inscribed on the Eiffel Tower. Joseph Fourier is best remembered for his work on the flow of heat. Although he first submitted the paper in 1810, due to objections raised by many well-known scholars, it could not be published. However, he kept working on it and in 1822 published it as ‘Théorieanalytique de la chaleur’. In his paper, Fourier expressed the conduction of heat in two-dimensional objects in terms of the differential equations, basing his reasoning on Newton’s law of cooling. The work later became the basis of another of his well-known work, ‘Fourier series’. Although he never used the term, Fourier was the first person to work on ‘greenhouse effect’. In the early 1820s, he concluded that the earth should have been colder had it been heated only by radiation. In 1827, he suggested that the Earth’s atmosphere might act as an insulator and retain the heat. In mathematics, ‘Fourier’s theorem’, ‘Fourier–Motzkin elimination’, ‘Fourier algebra’ and ‘Fourier division’ still carry his legacy. Besides, there are ‘Fourier’s law of heat conduction’, ‘Fourier number’, ‘Fourier optics’ and ‘Fourier transform spectroscopy’ that remind us of his immense contribution to physics and engineering.